Mommy's Idea: Win 2 “Let’s Get Ready” Books! 2. Come back here and leave a comment telling us something you like about the books. 8. Stumble this post or Mommy’s Idea. Contest ends at 11:59 PM EST on Monday, November 10, 2008. I am not a teacher or educator, and yet I created a book used by schools. I didn’t create the alphabet, numbers, colors or shapes but found a way to repackage it for parents, kids and teachers. With a telephone and a computer, I created www.cedarvalleypublishing.com. 10% of all profits are donated to literacy foundations and back to schools. By donating back to a school, schools see my books and want to write grants to purchase more! 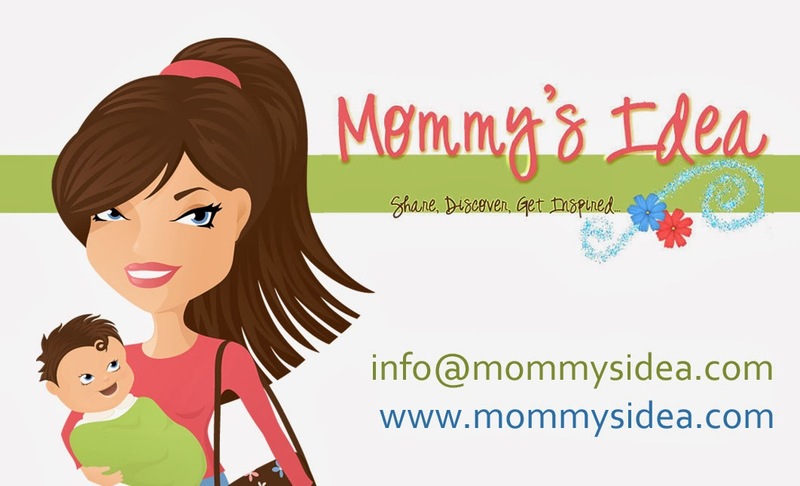 I am an author, publisher, consultant, blogger, speaker, motivator, spokesperson, CEO and Mom! Yes, mom-owned, mom invested and mom created!! I am the author and publisher of Let’s Get Ready For Kindergarten! & Let’s Get Ready For First Grade! Both books are award-winning, state-approved and used inside homes and schools across the nation. They are currently used in over 350 school districts from Portland, Maine to Portland, Oregon and in libraries and head start programs all across the country. Parents, kids and grandparents all love them because they are not storybooks or workbooks; they are books meant to be read over and over that cover the curriculum for Kindergarten and First Grade. I broke every rule starting out in the publishing world and in the end, it has been a blessing!! Has it been easy, no, it’s been long nights of burning both ends of the candle to juggle everything around my family schedule! I absolutely love it and can’t tell if I am working or playing!! My mantra is if two brothers from Ohio can change the face of aviation, that why can’t a mom, inspired by Oprah change education at the core! I will be releasing the highly anticipated Spanish/English edition of Let’s Get Ready For Kindergarten! iA prepararse para kindergarten! My kids think it is hilarious that I am writing a Spanish book without being able to read or write the language. As my 7 year old says, “Just hire a translator, duh, anyone can do anything!” This is a true family business! Who better to help me write Let’s Get Ready For Second Grade! than my 2nd and 4th grader! I am a mom inspired by Oprah to change education. This has become my passion! Thirty-eight states are discussing all day 4 year-old Kindergarten because kids are not coming to school prepared. 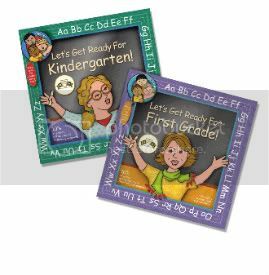 But where are the public service announcements telling parents the 7 things they need to know for Kindergarten testing: the alphabet all mixed up, number to 10 all mixed up, basic shapes, colors, coins, counting objects to 10 and how far they can count to 100? Schools purchase my books in bulk to help get parents, kids and teachers all on the same page of Kindergarten and First Grade! Now I have a national platform speaking to educators, schools, parents and kids to help get everyone on the same page! Wow Let's get ready for kindergarten is great I looked at the sample pages and this is awsome!!!! Love all the detail put into helping us get our kids ready for school! I liked the 'Lets Name the Seasons' Page in the Kindergarten Book. Great giveaway, thanks! I love that the kindergarten book is Spanish and English! - my son start K next year and he will be taught it from there. We live in LA and we have alot of Spanish speakers in our community. Inspiring to read her interview. thanks. A great entrepeneur, I love that 10% goes back to litercay foundations, but that in return creates her books to be seen by educators more! - An Oprah candidate for sure. Good luck with Cedar publising, though I'm sure you'll be just fine. I subscribe, thanks so much for the giveaway. HI, I looked through the sample pages in all 3 books - great ideas. Let's get ready is a really purposeful yet child friendly phrase. - would love to win. thank you. I love how much it covers-even opposites and seasons-very neat! I like the illustrations and the bright colors. The books are really great. I would love Let's Get Ready For Kindergarten. Thank you so much! I like the Lets say opposites page, it is good to see what all kids need to know before they start kindergarden! I love these books. The sample pages opened my eyes as to what Maddie will need to know for K...how nice to see before hand some K expectations! I love the activities-they look like a lot of fun for young children! I like the graphics, bright and engaging. They received so many awards for these books. They must be good! Thank you for having this. I would love to win. My youngest will be starting PreK in the fall and this book would be fantastic for her. Thank you! I like that the there is an English-Spanish version. It's like extra learning packed into the same book. Thanks! I love the bright colors and the pictures will really hold a child's interest. Love to have one for my granddaughter! Kiddos are coming to school with less and less knoweledge acquired from home these days. Books like this are so helpful to help children be prepared and start them off on the right foot for school! I love the Let's Get Ready for Kindergarten book. I like the opposites page. Lets count - the kindergarten book would be great! great idea! I love the first grade book. have ellie's bag button on my blog! I love the fun, bright and colorful artwork! THANKS! I love the Lets Name the Seasons Page in the Kindergarten Book! I like that there's Spanish AND English! As a mom trying to prepare her daughter for Kindergarten, I am loving this book. I especially like the page with the letters out of order. i like that these books prepare kids for school. I love that you do the Kindergarten one in Bilingual. I like that the books help to prepare children for what is to come in their first years of school. I love that there is a bilingual version of the kindergarten book. Let's get ready for kindergarten looks like a great book! And it's great that the donate to literacy programs. I like that these are durable and made for children to actually use. My son will be in Kindergarten next year so this would be perfect for him. I like how the books are so bright to appeal to the kids! My oldest is in kindergarten this year, and I think she'd really enjoy the Getting Ready for 1st Grade book. It looks like it'd be perfectly geared for kids that age, and I'd love to win it. Plus my youngest will be starting kindy in a few years, and she'd certainly enjoy that one as well. Stumbled this post with my monkeygirlsmama stumble id. I love the Kindergarten book! I really like the graphics and how simple the books are! I liked the 'Lets Name the Seasons' Page in the Kindergarten Book. Thanks!!! Dual languages on the Kindergarten book! I liked the different activities in the books, they really keep a kid busy and make learning fun. I like the Spanish option. But, the books themselves have eye appeal, and that's one thing you need for little ones. What great books, I love the detail and all of the activities included. What great books.. My daughter just entered kindergarten this year.. I would like the first grade books to get her ready during summer vacation! What great books! My oldest son just started Kindergarten thsi year and we were a little unsure how to porperly prepare him for it. Having these books would be so handy. I've got another little one that hasn't started school yet, so the Kindergarten and First Grade books are perfect for me. Thank you for the great contest. like that the books help to prepare children for what is to come in their first years of school. Spanish and English Get Ready for Kindergarden looks great. Pick Me! Pick Me! I would love to win Let's Get Ready For Second Grade it would be perfect for our homeschooling!! It's very kind of you to offer such a great giveaway, it rare that I see giveaways for people like us (avid readers & homeschoolers). These are nice educational books. I love the get ready for kindergarten and first grade ones. My granddaughter will be in kindergarten soon, so this would be nice to have for her. Thanks for having the contest! They come in both English and Spanish. I like how the books are easy to hold, interactive, and very durable. I like that there is a Spanish & English "Let's Get Ready for Kindergarten!" I like the Spanish and English. I think that's fantastic. I am not a teacher or educator.